" Once you and I go into business and own and operate at least the businesses in our community, what we will be doing is developing a situation wherein, we will actually be able to create employment for the people in the community. 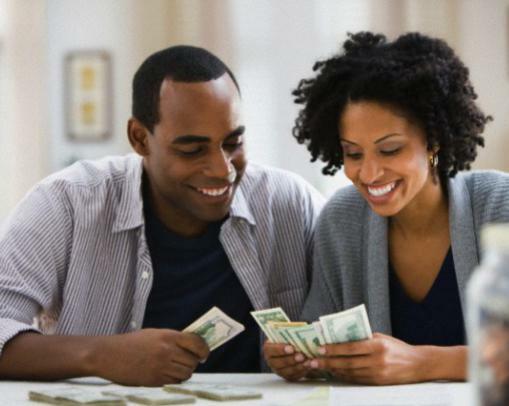 Fact: According to a recent study by the Nielsen Company, African Americans will have $1.1 trillion in collective buying power by 2015 (increasing to about $1.3 trillion by 2017), making us “more relevant than ever” as a consumer bloc. Susu collectors are one of the oldest financial groups in Africa. Based largely in Ghana they provide (for a small fee) an informal means for Ghanaians to securely save and access their own money, and gain limited access to credit, a form of microfinance. Money looked after for an individual by a Susu collector is held in a Susu account. A Susu collector can often be recognized by his distinctive coat of many pockets. The susu informal accounts used in the Caribbean and among West Indian immigrants to the United States are similar. The true origin is unknown, but likely of Akan, Igbo or Yoruba origin. In the Akan language susu means "small small" and can be taken to represent the buildup of money from numerous sources to get a larger sum. The term is also found among the Yoruba in Nigeria (called Esusu), in Ivory Coast (called Nago), Togo (called Yesyes and Jojuma), Bahamas (called Esu) and other places. In Igbo exists a form of savings called isusu while the word "esusu" refers to ants. The word susu is also used in reference to rotating savings and credit associations in Ghana and the Caribbean. K. Little's 1957 article in American Anthropology, as well as the book Traditional Peoples of the World by National Geographic describes susu groups in this context. Both Aryeetey and Gockel (1991) and Little (1957) are cited by Ellen Bortei-Doku and Ernest Aryeetey in Chapter 5 of the 1995 edited volume, Money-go-rounds. Today, Susu collectors provide many Ghanaians who would otherwise be denied credit with access to money they need to start up small venture projects that in many cases benefit the community as a whole. Susu is an informal means of collecting and saving money through a savings club or partnership as practiced in the Caribbean and is usually taking turns by "throwing hand" as the partners call it, where they pay a specific amount of money in one hand when it is collected they pay it to a person and each month every person in the group will collect a sum of money until the next time when another su-su is thrown. Immigrants to the United States from that area. The concept of a susu is used throughout the world and has over 200 different names that vary from country to country. The name may come from the West African Igbo or Yoruba word isusu or esusu which is translated as a pooling the funds. The funds are generally gathered with a set amount contributed from family or friends each week. An estimated 3/4 of Jamaican immigrants in New York participated in susus during the 1980s.. These savings clubs are mainly used in other countries as an alternative means of accessing capital when traditional lending is not readily available. As cultures migrated to the United States they brought this savings tradition with them. Not surprisingly, the "underbanked" in the United States will turn to this model when facing the same lack of access to capital. Such model remains very popular in various offline community associations such as Lending Circle in San Francisco and the Bay Area Nigerian Association in Oakland California. The younger generations have now created companies that modernized susus with an online platform to increase the scalability and the transparency of such model, some of these online platform include eMoneyPool, Monk App, Puddle in the United States and Partnerhand in the UK.. Many in our community will benefit from the two following income program such as African Drummers, Dancers, Jazz and other musicians of various genres and styles, Rap, Spoken Word/poets, authors, Painters, Sculptors and other creative artist who have to have a job to supplement their income...some such as authors, recording artist and artist will also be able to offer their and product to those join and become members of their team. 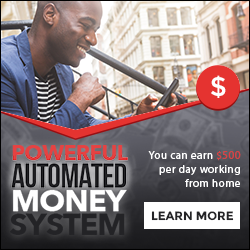 I have generated over $60,000 marketing a antioxidant healing nutritional juice from Brazil, and over $10,000 with a gifting program several years ago...I am not promoting the formation of a susu, MLM, or a Network Marketing or gifting program… I have taken this viable, ancient concept known as SuSu, and joined two programs that provide the opportunity to leverage (increase, turn over, and keep in the community) dollars of virtually any amount. We have seen how in the music industry, particularly independent record labels of the rap genre, are able to generate millions for individual performers who cater to devoted fans and followers in the club circuit, concerts and the virtual cyber social network. Needless to say, none of the fans or followers reap any financial benefits, or residual income as a result of being a purchaser of recordings, art, clothing (tee shirts), perfumes and other merchandise sold by these entertainers. This also provides the opportunity for Artisans to be able to generate an sizable income that will allow them to spend full time devotion to their first love, which is creating art, music, writing books and poems etc., which is usually only experienced by a select few…. I intend to show how all in our community, from teenagers to so-called “Baby Boomers” and retired elders in our community who are on a fixed income, can become economically self-sufficient by joining 1up programs such as the two being offered, which only require a one time out of pocket expense… You can also consider becoming an affiliate of companies such as Amazon.com, which does not require a fee to join, but places one in the position to sell household products to anyone in their circle of influence and beyond…I am an affiliate of Amazon and I sell African drums and books from my web site at www.drumsofchange.com ( click on the drum store link on this page to see the various African and other types of drums available )...This type of ecommerce is becoming more of an appeal to those who have large families and many friends who would not hesitate to purchase services and products from their online Amazon, Clickbank of other online merchandize venues, as they are in constant need to buy essential household items, gifts, school supplies and the list goes on and on…. The documentary, Black Friday, takes an in depth look into the spending habits of African-Americans in America. The film chronicles the financial mis-education of many African-Americans and explores the economic pitfalls that continue to derail the progress of the community-at-large. In an effort to heighten the economic awareness and financial responsibility in the community, the film, Black Friday, presents solutions on how to better manage the 1.2 Trillion dollars that leaves African-American communities annually. In addition, the film champions the importance of leaving a financial and ethical legacy for the next generation. Dr. Boyce Watkins weighed in on the perceived fear of investing in stocks held by many African Americans during a recent chat with VladTV. The famed social commentator believes slavery is responsible for why many African Americans don't mess with the stock market. "Slavery kind of beat out a lot of our ambition and desire to try new things," he explained. "Remember, on the plantation, if you went too far out of your comfort zone, that could get you killed." As the topic changed to the importance of ownership, Dr. Watkins explained his quote, "Own the land on which you stand." "Own something. Either own something or somebody's gonna own you," he clarified. Check out the clip to learn more, including Dr. Watkins' opinion of DJ Vlad's belief that owning a house is "one of the biggest scams ever created." In this video, Dr. Boyce Watkins talks about the addiction that many African Americans have to working for white people. The truth is that it is very difficult for us to obtain the economic self-determination we deserve if all we are doing is working for whites. Dr Boyce Watkins talks about how to buy one share of stock for your children...To learn more about investing and starting a business, please visit TheBlackBusinessSchool.com. You can sign up for free. Oprah Winfrey is the wealthiest celebrity in America. She is also the most powerful. How did this happen? Finance professor Dr. Boyce Watkins speaks with Nomalanga Mhlauli-Moses about Oprah's rise to wealth and power. Susu is good for you, is the key-point to this documentary made by Andi Kranz. Since Kranz was the first time in Ghana in 2008, he is following the story of the Susu. It is coming from Nigeria and was brought to the country in the middle of the twentieth century. The impact on the hole economy is well known. Our documentary shows how the people are benefiting from the Susu, and why the europians could learn from it. The social effects of the Susu are very important, too. The people are having the chance to raise their own capital, while the country is keeping the cash-money in the circle of distribution. Trinidadians keep a money saving tradition alive. After Shark Tank, Scholly became #1 in the iPhone and Android App store for several weeks, several cities such as Memphis and Philadelphia and the state of Montana purchased the app for students in their city/state. Scholly also partnered with the White House My Brother's Keeper Initiative to provide the app to 275k students across America each year. Scholly also won a 100k investment from Steve Case in his Rise of the Rest Competition. To date, Scholly has helped students raise $20 million in scholarship funds. 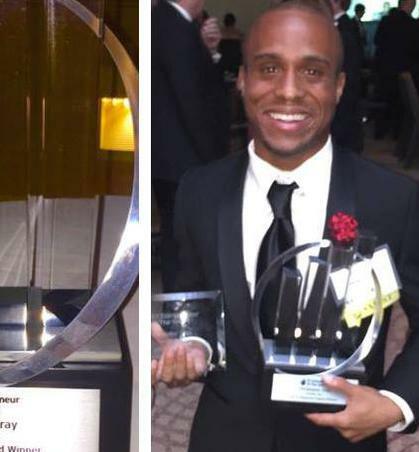 Christopher was also named a 2015 Ernst and Young Entrepreneur of the Year for Social Entrepreneurship. Farrah Gray (born Farrakhan Muhammad) is an American businessman, investor, philanthropist, author, columnist, and motivational speaker. Gray was raised on Chicago's South side. He began his entrepreneurial career at the age of six selling homemade lotion and hand-painted rocks door-to-door. Gray is the son of black nationalist Khalid Muhammad.